We’d love your help. Let us know what’s wrong with this preview of This Book Is Not Yet Rated by Peter Bognanni. The Green Street Cinema has always been a sanctuary for Ethan. Maybe it's because movies help him make sense of real life, or maybe it's because the cinema is the one place he can go to still feel close to his dad, a film professor who died three years ago. Either way, it's a place worth fighting for, especially when developers threaten to tear it down to build a luxury co The Green Street Cinema has always been a sanctuary for Ethan. Maybe it's because movies help him make sense of real life, or maybe it's because the cinema is the one place he can go to still feel close to his dad, a film professor who died three years ago. Either way, it's a place worth fighting for, especially when developers threaten to tear it down to build a luxury condos. To ask other readers questions about This Book Is Not Yet Rated, please sign up. Character-driven stories rock. They really do. Because if you like the characters, you most likely end up caring about them, and if you care about them, then you care about what happens TO them and AROUND them and to the people in their lives. Even if the storyline doesn’t blow you away, you’re still having a pleasant time in the company of these people you now care about and want to make your family. I loved Ethan. I loved him from the very beginning. He’s succinct. He’s not one to use 1000 wor Character-driven stories rock. They really do. Because if you like the characters, you most likely end up caring about them, and if you care about them, then you care about what happens TO them and AROUND them and to the people in their lives. Even if the storyline doesn’t blow you away, you’re still having a pleasant time in the company of these people you now care about and want to make your family. The reason why this is a character-driven book is that not much actually happens in the story. Conversation is much more highlighted than action or scenes that lead to multiple events. In space, the story takes place at and around the little cinematic complex on Green Street called The Green Street Cinema because that’s where Ethan used to work before it was put down for demolition. Still, nothing is set in stone yet, so Ethan and his crew are trying to stop that from happening. But at some point you realize The Green Street is a symbol, something that reminds Ethan of his late father, and Ethan needs to focus on his relationships more than on a place that, yes, has brought people together for a common love of little-known movies but that doesn’t have to be the reason for keeping those people connected to one another. I’m curious about the author’s previous releases now. If the humour is the same, there’s no reason why I shouldn’t enjoy them. Ethan loves m This review can also be found at Carole's Random Life in Books. I absolutely loved the premise of this and was so excited to read it. I liked Ethan well enough. He’s sort of struggling and maybe a little stagnant in his life, but he was easy to root for at the start. There’s a pretty interesting set of characters here and yet at the same time, no one stood out. We didn’t get much backstory on anyone but Ethan. Plot wise, it was sort of boring. It was a lot of trying to figure things out with a very slow build until the end. The story didn’t go in the direct I absolutely loved the premise of this and was so excited to read it. Plot wise, it was sort of boring. It was a lot of trying to figure things out with a very slow build until the end. The story didn’t go in the direction I was expecting, but I liked the ideas of personal growth and moving on. The movie set up info at the start of each chapter and the excessive paragraphs of movies being detailed pushed me out of the story every time and I found myself skimming. Overall, the found family is one of my favorites, especially when it’s a sort of group of misfits. Sadly, this story lacked a spark I was looking for. At the time I’m writing this, there are loads of high reviews, so it seems it just wasn’t for me. The overall story was just alright. I felt bored at times but I enjoyed the narrator. I really enjoyed Bognanni’s other novel, Things I’m Seeing Without You. He really seems to have the ability to tackle tough topics, yet keep an element of humour in his writing. I look forward to reading this coming-of-age story in the spring. Review first appeared on my blog as part of my Music Mondays feature here. Peter Bognanni and I have an emotional past. Mind you, the author himself doesn’t know that. When his novel Things I’m Seeing Without You was first out in ARC format, I was fortunate enough to receive a copy via the publisher. It just so happened that when I was nearly halfway through, my family suffered a tragic loss. If any of you have read TISWY, then Review first appeared on my blog as part of my Music Mondays feature here. Peter Bognanni and I have an emotional past. Mind you, the author himself doesn’t know that. When his novel Things I’m Seeing Without You was first out in ARC format, I was fortunate enough to receive a copy via the publisher. It just so happened that when I was nearly halfway through, my family suffered a tragic loss. If any of you have read TISWY, then you know how sensitive the topic of that book is (if you haven’t, I recommend it with caution because of the aforementioned sensitive topic). Ever since that summer, Bognanni has held a special place in my heart. The title of his prior work is also an inspiration for a future tattoo that I want to get because it just speaks so well to those who’ve lost someone. With that long disclaimer-ish paragraph out of the way, let me say that This Book is Not Yet Rated is both very different from Bognanni’s prior work and still just as emotionally touching for me. Through witty and personable writing, Bognanni’s newest title will resonate with anyone who loves film, or has had a love for something that has greatly defined them growing up. Ethan is the manager at the old movie theatre, The Green Street Cinema, that used to feature films for his dad’s college students. Nicknamed Wendy by the lost boys who work alongside him, Ethan has been using the theatre as an escape from his grief after losing his dad three years before. He’s also conveniently avoiding the pressures of growing up. But when a new face pops up with the threat of shutting down the theatre, Ethan must question what the theatre really means to him and his crew. As if these pressures weren’t enough, Ethan’s old friend and crush return to his life after she’s suffered a breakdown of her own. Will Ethan be able to save his sanctuary and will his friendship ever recover from the past? For the most part, I enjoyed Ethan’s story and growth. I liked how his progress follows the obvious route that contemporary books usually take, but then gets derailed because life isn’t that simple. Bognanni shows us that anything important to us is worth the hard work. Simple solutions aren’t the answer and nothing in life is linear–despite how much we want to emulate film. And that’s one of the interesting things I noticed in this book: the parallels shown between film and life. In order to escape from the difficulties and unpredictable nature of life, Ethan submerges himself into the intricate world of film where most stories have storylines that follow patterns, or eventually lead to a climax of some sort–something controlled by a director and editor. Up until the theatre is threatened, Ethan has been living a predictable life. This “shake-up” is where the story deviates from being film-like. Or, to play devil’s advocate, it could even be argued that Ethan’s life becomes more film-like because of the abrupt changes he’s experiencing. This book being titled This Book Is Not Yet Rated is perfect because of all of the connections to film. The book itself is like a love story for film and its effect on people. I loved that at the beginning of every title Ethan explains various filmmaking terms that his dad must have taught him. His experience with movies makes the reader want to have a paper and pen ready to write down all of the recommendations. Raina, Ethan’s old best friend, is in film as well and knows all about the importance of film in life. Though she at times falls into the unfortunate trope of being a manic pixie dream girl (something that affected my overall rating for this book), Raina is the character who helps Ethan see that it’s okay to dare to want more. She pushes him to stand outside of his comfort zone, while also trying to figure her life out. While her conclusion in the story was a tad convenient (and a little under-developed), I did like the effect she had on Ethan. The other characters are like the perfect seasoning for an enjoyable storyline. They add flavour to a story that could have easily been boring or a little too formulaic. I loved that each had their own quirk that made up the feeling of a dysfunctional family. Their hijinks and commentary were some of my favourite moments in this book. Ethan on his own was at times depressing, so adding in these dynamic characters was a great touch. I do wish we’d have known a little more about them, but I’m happy we got to meet them regardless. The emotional aspect of this book that really hit me was the dad’s death. While we don’t actively get to meet him because this takes place three years after his passing, he is like an honorary character hidden in every page of the book. His presence is what drives Ethan to do better and it’s what made me connect to Ethan in the first place. I almost teared up when Ethan finally explains how he died and the little quirks they had together, because it was like reading about me and my dad. My negatives about this book would probably be the portrayal of Raina, the at-times one dimensional side characters, and the sometimes slowly paced writing. There were moments where I became stuck on a specific chapter and I felt drawn to other books. Despite the things I wasn’t a big fan of, I did really enjoy this book. I strongly recommend it for anyone who loves film and a story about how film can help us grow and understand the world. Also, it’s a read I’d recommend for anyone who’s ever had to grieve a loss because Bognanni always touches on the unspoken things that grieving people often experience, and how our lives are affected by the death of a loved one. This book was great! I loved the main characters and the quirky supporting cast. It will especially appeal to movie and A/V nerds, and I was one of these in high school and college, so it was a perfect match! While there is a (maybe?) romance, it is not a mushy love story. And there isn't a clear-cut ending, so some readers may be disappointed there. Ethan is the main character, a kid who graduated early (after the death of his father), and works as the manager of the art house movie theater wher This book was great! I loved the main characters and the quirky supporting cast. It will especially appeal to movie and A/V nerds, and I was one of these in high school and college, so it was a perfect match! Ethan is the main character, a kid who graduated early (after the death of his father), and works as the manager of the art house movie theater where he and his father had so many memories. When the theater is threatened with demolition, Ethan's crush, Raina, returns to Minneapolis from her life as an actor in LA. This fell so flat for me. I’m so disappointed. I'm not sure why I seem to have this problem, but I swear every YA contemporary I reasd reminds me so much of a YA contemporary I just read. This one wasn't as similar as some of the others I've dealt with, but I was constantly reminded of Rayne and Delilah's Midnight Matinee. They have similar tropes and characters that have similar thoughts. Either way, I really enjoyed this title. I just wish I could stop comparing things. Okay. Not my favorite but mainly because I didn’t understand most of the classic movie references. It was well done and had some good moments. Just not for me. I really enjoyed this book. It was a wonderful coming of age story about realizing the people and experiences that make you, not necessarily the material things. It spoke a great message and it came across very well. I really liked Ethan, our main character, and we get a good look into his personality in the short time we follow his life in this book. I also loved the movie references and terms throughout, and I thought they made this a “love letter to film” of sorts. I liked Raina, our love int I really enjoyed this book. It was a wonderful coming of age story about realizing the people and experiences that make you, not necessarily the material things. It spoke a great message and it came across very well. I really liked Ethan, our main character, and we get a good look into his personality in the short time we follow his life in this book. I also loved the movie references and terms throughout, and I thought they made this a “love letter to film” of sorts. I liked Raina, our love interest/returning friend, but I felt her character was underdeveloped and a little flat. We hear her story and hear about her time traveling cat movie in LA, but she never felt realistic to me, and her movie seemed kind of ridiculous, not gonna lie, but that’s just a personal opinion and doesn’t really have anything to do with the actual story. This book has the occasional flashback, and at times I got so confused because the transitions weren’t written very well, but they served a great purpose overall when they were written right. I liked the supporting characters as well, but we could have gotten a little more depth with them because they were a bit flat as well. This problem was present with pretty much every character EXCEPT Ethan. Yes, I really read this book in one day. Once I started reading it, I neglected everything else in my life. Well, okay, I did take time out to go to the gym and the grocery store, and watch a movie, but I was thinking about this book the whole time I wasn't reading it! If that's not an endorsement, then I don't know what is. P.S. Sweet Lou is the best octogenarian you will ever encounter in a YA novel. That is all. Even for people who don't go to church (or some other house of worship), there is often a place to which they turn for comfort and solace. For me, it's any quiet place with lots of pillows and a warm blanket. I like to make myself a little "nest" so I can cozy up to refresh my body and mind. My husband recharges his spirit by spending time in nature; most often, the Adirondack Mountains. In this story, the Green Street Cinema is like church to Ethan. Up until his father died, three years prio Even for people who don't go to church (or some other house of worship), there is often a place to which they turn for comfort and solace. For me, it's any quiet place with lots of pillows and a warm blanket. I like to make myself a little "nest" so I can cozy up to refresh my body and mind. My husband recharges his spirit by spending time in nature; most often, the Adirondack Mountains. In this story, the Green Street Cinema is like church to Ethan. Up until his father died, three years prior, the Green Street was where they spent a lot of quality time. Not only did they bond over the movies they watched, but they used their time together to talk about bigger things like "what it means to be human." Since his father's death, Ethan began working at the Green Street -- and he even ended up becoming the de facto manager when Randy took off. But the Green Street is in major trouble. Aside from the major debts that can't be paid off with the minuscule ticket sales to the small group of cinephiles who frequent the theater, there are also some major structural problems and a rat infestation to contend with. All of this is happening, of course, at the same time that his former best friend and crush, Raina, came back to town. This literal girl next door seemed to fall off the face of the Earth when she was "discovered" by an agent and whisked away to make some cheesy blockbuster action/sci-fi movies. Even when Ethan's father died, she didn't respond to any of his text messages and emails, so Ethan never expected to hear from her again. But now she is back and seems to need his support to make it through a major breakdown. I loved the motley crew of workers from the theater -- the "Lost Boys" to Ethan's "Wendy" (the nickname that even appears on his name badge). But, most of all, I really appreciated both Ethan and Raina's vulnerability and their willingness to admit that they didn't have all the answers. It sometimes feels like young adult characters have their stuff together all too well and that they have a confidence and direction that don't feel all too natural. (Or maybe I am just projecting my own uncertainty from my teen years and can't understand what it would be like to feel so self-assured?!?) Either way, these characters felt very "real," as did their up-hill battle to save the Green Street from being demolished and replaced with luxury condos. Wow, I love this book. The plot centers around the attempts of the narrator, Ethan, to save a decaying independent movie theater from demolition, but the story is more about the death of Ethan’s father and his inability to come to terms with his loss. That’s the reason the theater is so important to Ethan. It’s a place where the two of them shared their love of films, and losing the theater seems like losing his father all over again. But the theater closing may be a blessing in disguise, because Wow, I love this book. The plot centers around the attempts of the narrator, Ethan, to save a decaying independent movie theater from demolition, but the story is more about the death of Ethan’s father and his inability to come to terms with his loss. That’s the reason the theater is so important to Ethan. It’s a place where the two of them shared their love of films, and losing the theater seems like losing his father all over again. But the theater closing may be a blessing in disguise, because Ethan’s attempts to stop it help him learn how to move on from loss, how to recognize what’s important to hang onto and when it’s all right to let go. That description sounds like this would be a really heavy book to read, and at sometimes it is, but I laughed a lot, too. The author has a gift for writing funny scenes and quirky oddball characters. Ethan isn’t bad with a snarky line, either. Maybe my favorite bit of the novel is when an especially poignant moment between Ethan and the girl he likes, Raina, is interrupted by the discovery of a dead rat. Talk about destroying the mood! Pathos to comedy, at breakneck speed. Film buffs might especially appreciate this novel. A lot of great movies are referenced during the story. Some of the scenes and dialogue wouldn’t be out of place in a film, and it doesn’t surprise me that Bognanni’s first book was turned into a movie. An especially nice touch is “Ethan’s Glossary of Film Terms,” short descriptions of different aspects of film between chapters that serve commentary on the action. Be warned, though—this book doesn’t a classic Hollywood ending where the hero saves the day and gets the girl. If that’s your jam, you might not like where the story winds up. It’s more like an art film, which generally aren’t so tidy in terms of the conclusion. But that’s what makes them interesting, right? And while the ending here isn’t clear cut, it is hopeful. I’d highly recommend this for anyone who likes smart, well-written YA novels. And movies, of course! This book was received as an ARC from PENGUIN GROUP Penguin Young Readers Group - Dial Books in exchange for an honest review. Opinions and thoughts expressed in this review are completely my own. I was super excited to read this book from the description especially since fans of John Green will appreciate this book, so this book will definitely fit for all nerd-fighters everywhere. I must say this book delivered on that. 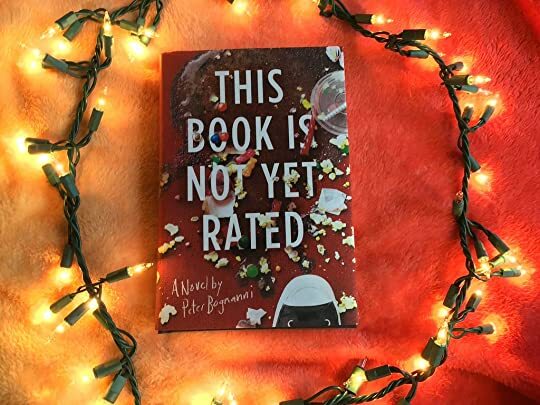 We have a movie geek that wishes life was like the movies, a supporting cas This book was received as an ARC from PENGUIN GROUP Penguin Young Readers Group - Dial Books in exchange for an honest review. Opinions and thoughts expressed in this review are completely my own. I was super excited to read this book from the description especially since fans of John Green will appreciate this book, so this book will definitely fit for all nerd-fighters everywhere. I must say this book delivered on that. We have a movie geek that wishes life was like the movies, a supporting cast (his friends) and a heroine (his old friend/potential girlfriend). He feels that everything is going well but when his friend returns from Hollywood and has uncovered many secrets in the industry, the boy has lost his magic. After the realization that life is not always like the movies and things will work out if they are supposed to. I absolutely loved this book and was hooked from the first page. I know young readers and nerd-fighters will unite and love this book too. What a cute book. Thank you goodreads for the chance to read an advance copy of it, it was right up my alley. Ethan is a 17 year old boy, who spends almost all of his time working at the decrepit Green Street movie theater, or holed up in his bedroom watching movies. He made a pact to watch at least one a day, and at the start of the book hasn't missed a day in years. Unfortunately for Ethan and his random cast of misfit coworkers the college that owns the Green Street is determined to close it d What a cute book. Thank you goodreads for the chance to read an advance copy of it, it was right up my alley. I received an ARC of this book from Penguin Random House Publishing in exchange for an unbiased review. First, I should say that this is not my typical genre of book and so I didn’t really know how I would like it going in. That being said, I did actually enjoy this book quite a bit! being a huge movie nerd myself, I really related to Ethan’s point of view, and his mission to save the movie theatre he felt so connected to. There were movie references galore and so many fun little easter eggs for anyone that grew up watching movies with their families. The coming of age element of the story was nice, and the relationships the book explored added an emotional touch to the story. I found that the humour aspect of Ethan’s narration over-shadowed the more emotional aspects of the story at times. What I did like is that it felt very real, the story and the characters were all down to earthen the ending reflected that. I got this as an advance reading copy, and was pleasantly surprised at how much I enjoyed it. Ethan is the teenage manager of a run down theater on a University campus in Minneapolis showing classic, and some not-so-classic films, that only brings in a dedicated group of cinephiles. When the University decides to tear it down, he must rally his odd ball staff to help him save it. Throw into the mix Ethan's love of a former classmate turned actress, and the death of his father, a professor of fil I got this as an advance reading copy, and was pleasantly surprised at how much I enjoyed it. Throw into the mix Ethan's love of a former classmate turned actress, and the death of his father, a professor of film studies, and there is enough teen awkwardness for even the most jaded reader to relate to. 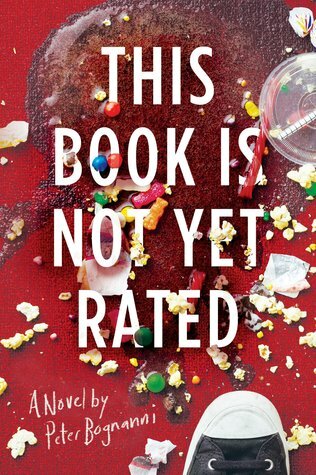 The plot of this book reminded me of one of my favorite movies (Empire Records), where a cast of crazy characters tries to save their beloved but quirky workplace. Ethan has become the defacto manager of the Green Street Cinema, and its band of misfits. When the neighboring university (which officially owns the theater) decides to evict them and tear it down, the employees decide to fight back. Adding to the story are the return of Ethan's long-lost childhood crush (now Hollywood star) and Ethan The plot of this book reminded me of one of my favorite movies (Empire Records), where a cast of crazy characters tries to save their beloved but quirky workplace. Ethan has become the defacto manager of the Green Street Cinema, and its band of misfits. When the neighboring university (which officially owns the theater) decides to evict them and tear it down, the employees decide to fight back. Adding to the story are the return of Ethan's long-lost childhood crush (now Hollywood star) and Ethan still trying to come to terms with a major loss at home. I really liked the characters in this book and wanted them to win in the battle with saving the theater but I wasn't sure it was really possible. I think many teens can relate to this book, as struggling to find your path in life. Our main character Ethan was experiencing loss and also the rekindling of an old friendship, that he really wanted to be more. A very relate-able teen book, with a great setting. I really enjoyed this book. I will say that some things were predictable but I didn't mind it at all. The story follows Ethan, a young teen that is going through some hardships of losing his father and now the city is condemning the Green Street theater where he not only works but has lots of memories of his father there so now Ethan and his friends must figure out a way to stop the demolition. I don't want to go into the story more as to not spoil it but I do recommend this book.